Yey! We’d love to have another follower. Join the thousands of people who receive new postings on the blog delivered by email. No need to keep checking back with us for updates. You are the first to know when we post something new. Sound good to you? We promise your email address is safe with us. We do not share it for any reason whatsoever! 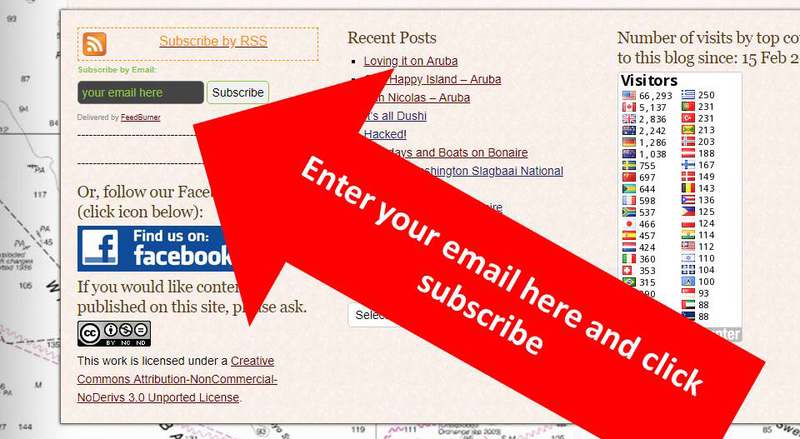 You can unsubscribe at any time by clicking the link at the bottom of the emails we send with blog updates. At the very bottom of this page is a box that looks like this (above). In the top left corner of the box is an area that says “your email here”. Type in your email and click subscribe. You will get a pop up asking to prove you are a real person. Follow the directions and click ok. You will then immediately receive a confirmation email from Feedburner (a division of Google). You may have to check your spam if you have a good spam filter running. The confirmation email will contain a link to click and verify you are the owner of the email account you entered. Click the link and that’s it. You’re on the mailing list. If you are a FaceBook person, Cream Puff has a page. This is not our personal page. The FaceBook Cream Puff page is updated automatically by this block whenever there is a new post. You can click the FaceBook link at the bottom of this page and then click “follow” on our FaceBook page. Thanks for checking in with us and we hope you enjoy the future postings as our soon to be awarding sailing blogs continues.